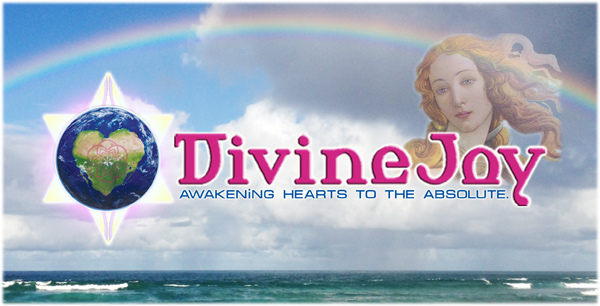 DivineJoy.org is dedicated to Awakening Human Hearts to the Absolute! DivineJoy is simply about living in your fullest potential by awakening the emotional DNA intelligence that lies dormant in the sacred heart of your deepest of feelings. It is through your emotional bodies’ feeling nature that everything you need to know becomes yours NOW in an instant! Cosmically Attuned Information, Universal Wisdom, Vibrant Telepathic Forms of Communication, Expanded Heart Intuitive Synchronicity, Clear States of Pure Sensual Ecstasy, and Harmonious Crystal Light Body Manifestations are accessed through your DIVINEJOY FEELINGS! Once your DIVINEJOY FEELINGS are activated, the choice to change will flow smoothly, as egoic personality attachments to old fear-based relationships, superficial lifestyles, separation-oriented careers, stagnant home environment, life-depleting food patterns, old habitual programs, past ancestral conditioning, shadow denial, new age light polarization, and unconscious blood family traditions are completely released. Thus, allowing you theABSOLUTE FREEDOM to serve your fullest & greatest potential at all times. The Crystal Core Intention of DivineJoy’s Sound, Breath, Movement, and Tantric Meditation workshops is to provide life-affirming experiences with simple techniques & skillful tools that keep your sacred heart flowing in Divine Love, intimately connected to Pure Source Consciousness, and anchored into the fluid & dynamic Crystal Heart Rising of Planet Gaia. As things continue to dramatically shift on the surface of Earth, it is imperative that your State of Balanced Self-Mastery is activated, stabilized, and continues to THRIVE amongst all that is rapidly changing. It is through our varied array of DivineJoy workshops, retreats, symposiums, seminars, shamangelic RDHA sessions, and self-mastery trainings that we can offer you golden experiental keys to Authentic Self-Love, Sacred Heart Awakening, Co-Creative Manifestation, Reflective Self-Empowerment, and Genuine Life Transformation. Thus enabling you the ability to Connect & Celebrate your Fullest Potential Self with millions of others in this Naked Earth Destiny we are all choosing for the next 13 Generations ahead.